A very pleasant day today… Dry, mild and And despite the flat calm conditions it fished quite well with some very close sections, nice nets of silvers… And some lovely carp were caught too. 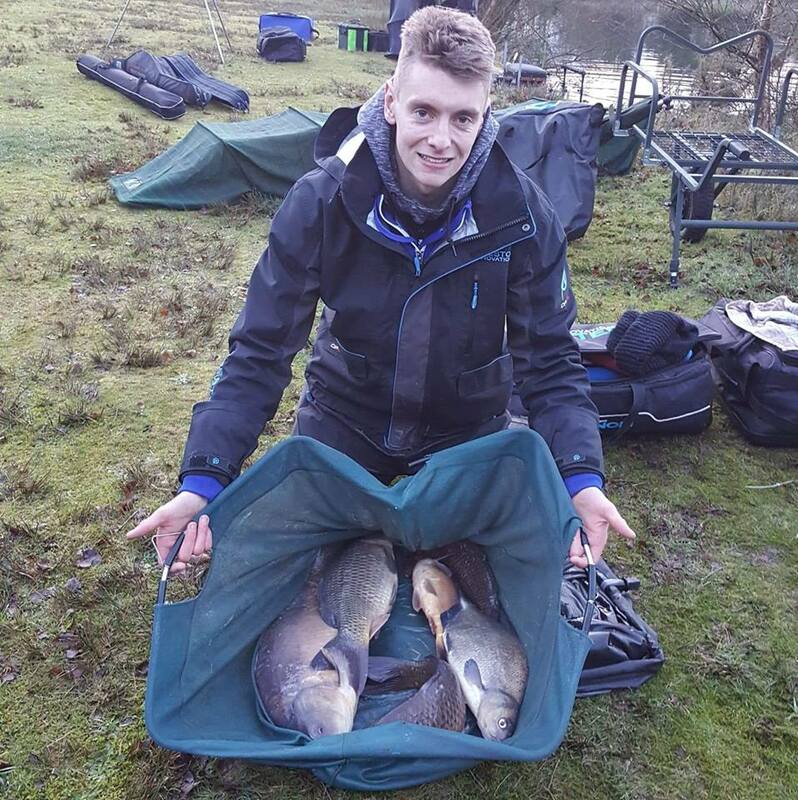 On Bruce’s Acre Eddie Bibby stole the show, winning his section and the overall match with 60lbs + of carp caught on the pole ” dobbing” bread 🥪.! Eddie picked up the first prize,🏆 a cool £125 tackle voucher kindly gifted by Daiwa. 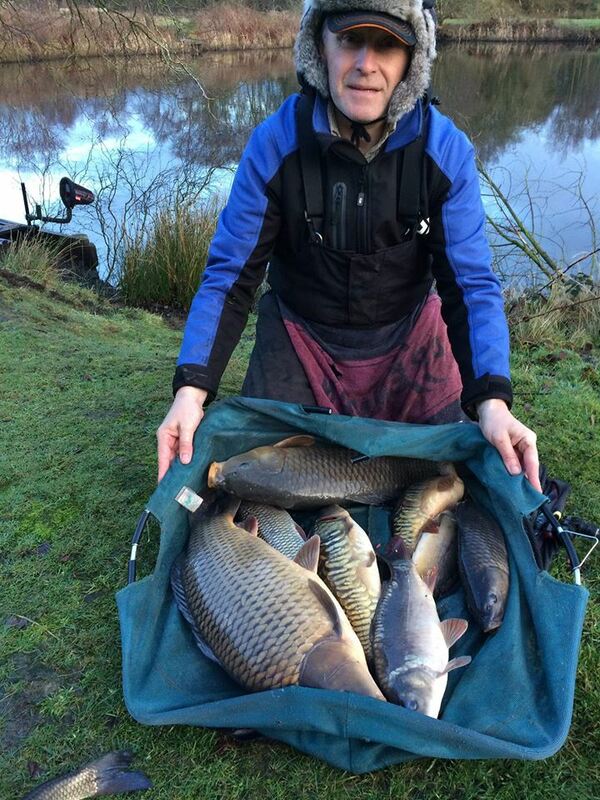 Joshua Caisley won the other section with a few carp for 26lbs. Down on The Square we weren’t sure how it would fish.. Its been ta while since we last put a match on it, but it fished surprisingly well with Carp dominating what is usually a good silvers water. 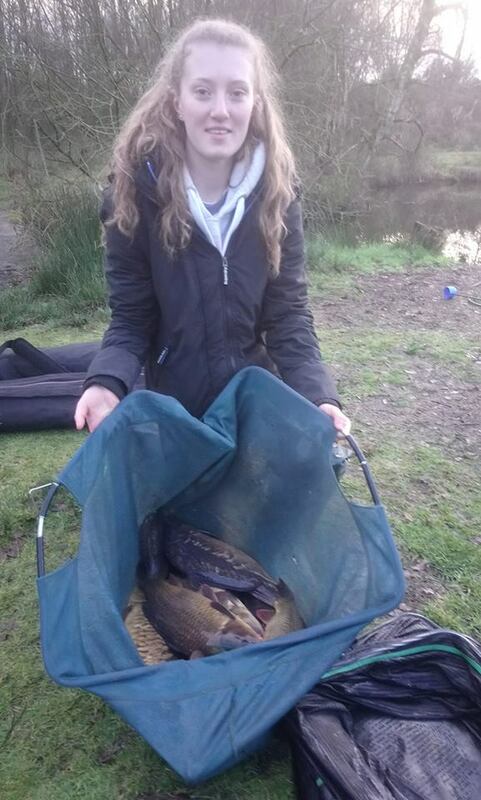 Jasmine Edwards fished a very tidy match to win the other section… Catching around 10 small carp in the margin on the pole to weigh in a respectable 32lb 6oz. Queensberry Water fished well throughout, sticking to its recent form with nice weights and close sections. 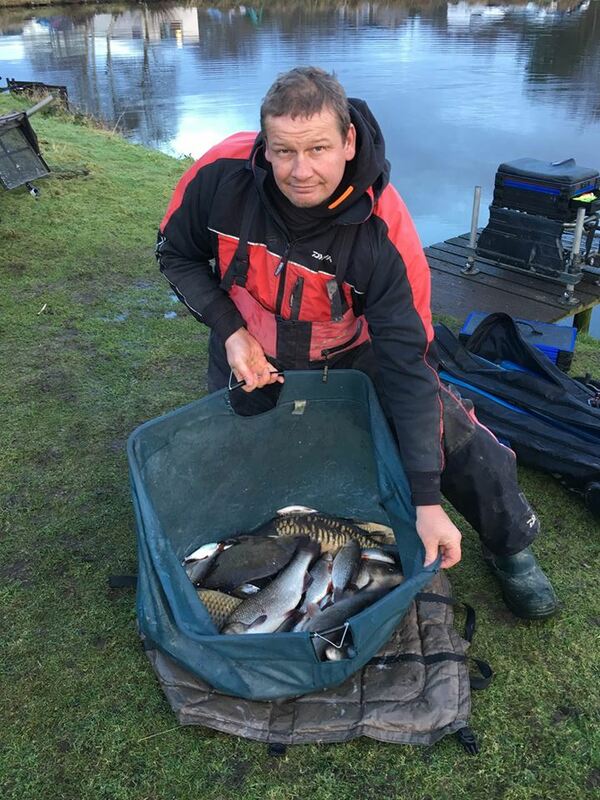 Section 1 was won by Ian Whitson, again with a nice net of silvers for 29lbs 4oz… Again a very decent winter weight all caught on pole / Maggots. Over 457lbs of fish caught today… Not too shabby considering the time of year. After the match, everyone retired to the cafe for an Xmas dinner, enjoyed by all… Many thanks to Liz and the cafe staff for putting on some good food yet again.,! Everyone went home with a prize,🏆 ranging from a Daiwa feeder rod gifted by David Mcauley / Daiwa, bottles of beer, wine, spirits and an assortment of tackle… All in all a great day. 😁! 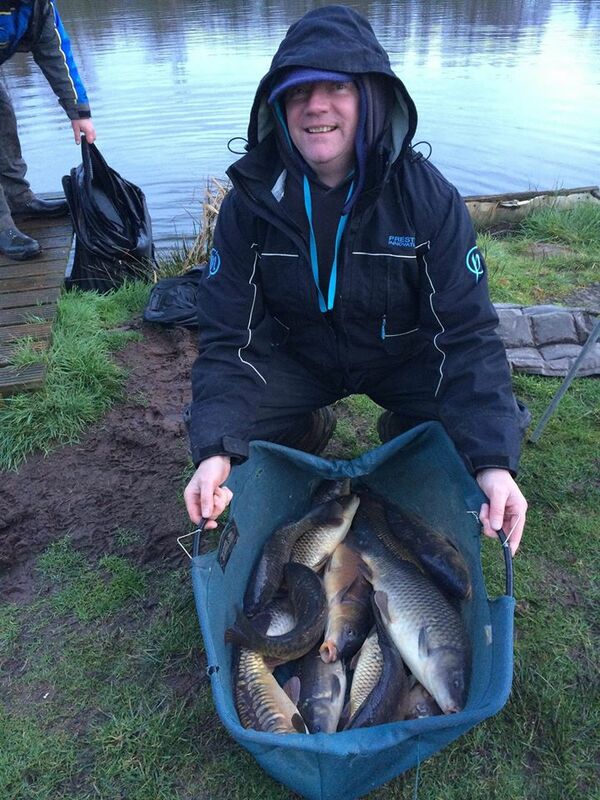 Many thanks to all that supported the match, David Mcauley, Daiwa, The cafe staff. All at Broom wish everyone a very merry Xmas..!